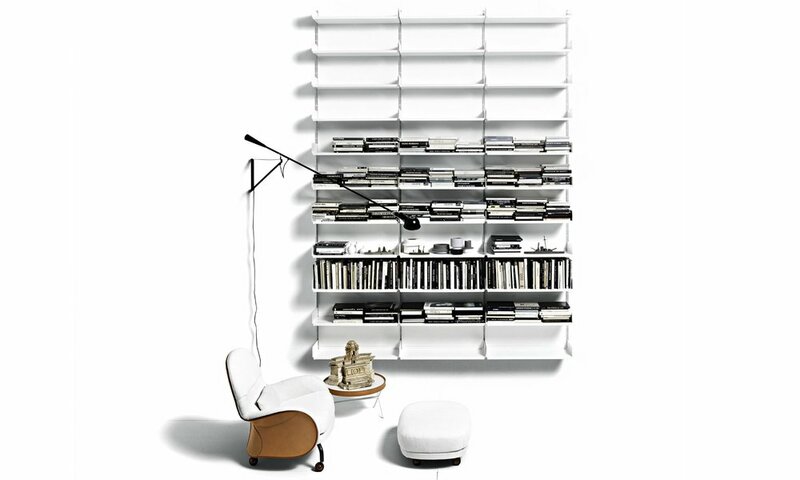 An ingenious feat of industrial design, the 606 universal shelving system was designed in 1967 by famed industrial designer Dieter Rams. The system is an entirely modular one, allowing for complete customisation of your own personal storage solution. It can be installed as a back-to-back stand-alone unit, which can double up as an attractive room divider, or the system can be wall-mounted in the configuration of your choice. It has been Italian furniture and shelving maker De Padova's best seller for many years now and is well-suited not only to office storage systems but works seamlessly as a bedroom closet, as exquisitely illustrated below. Contact us (click here) or visit our store in Hyde Park, Johannesburg if you would like to know more about this inventive, exclusive designer product.